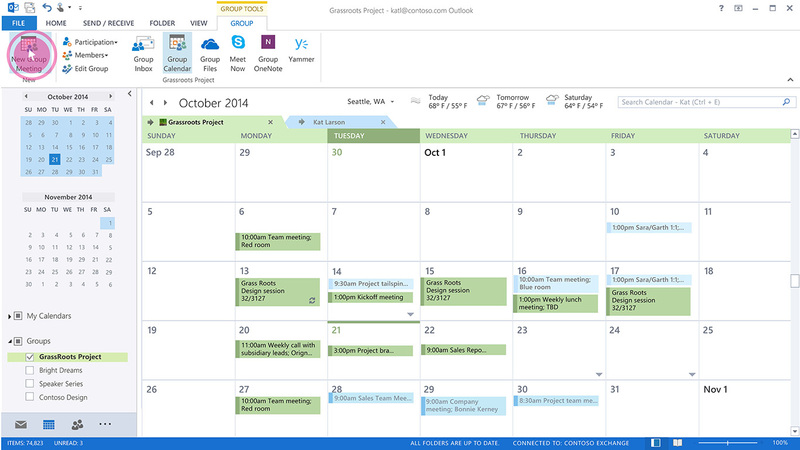 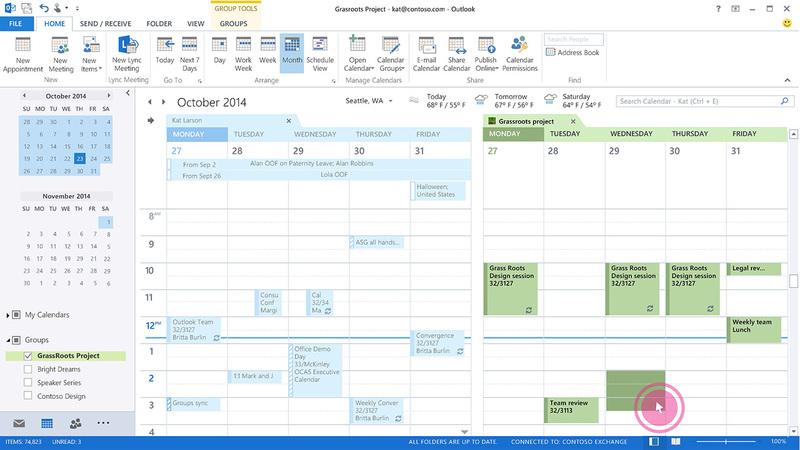 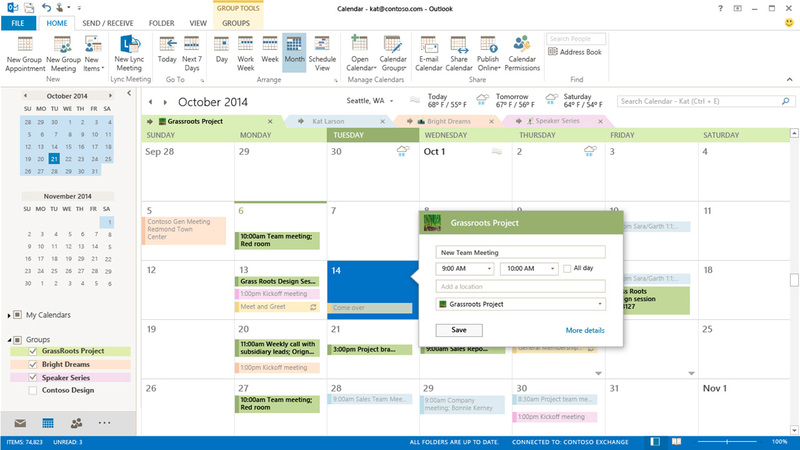 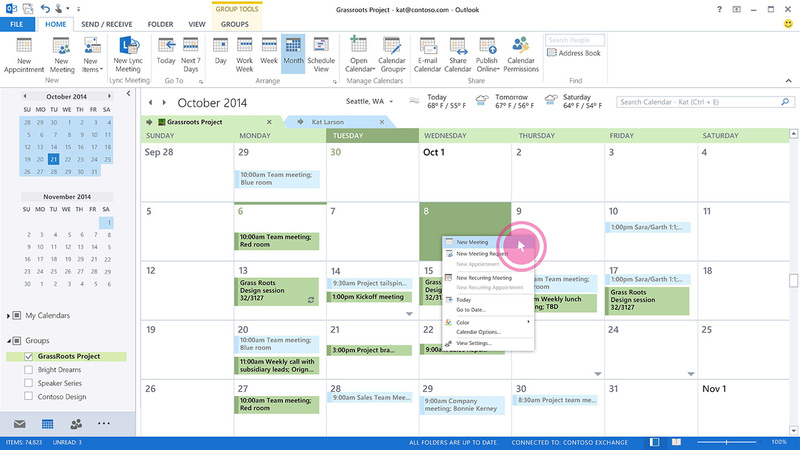 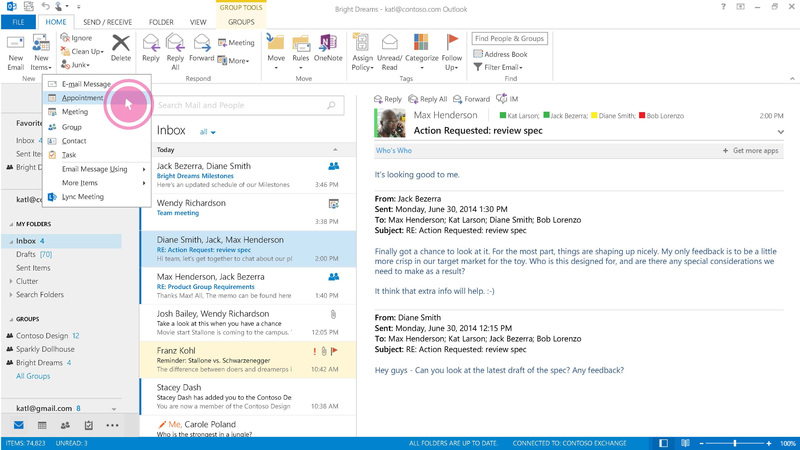 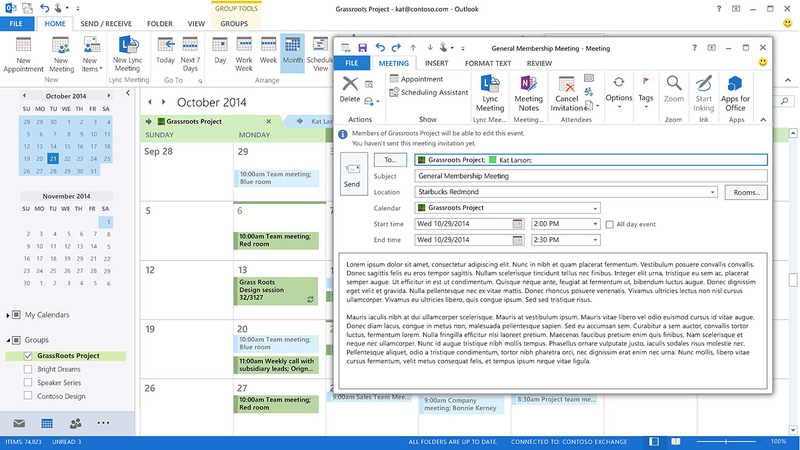 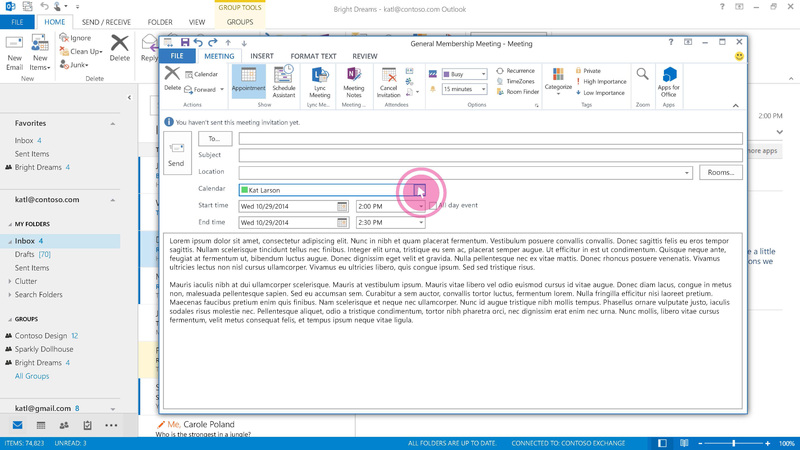 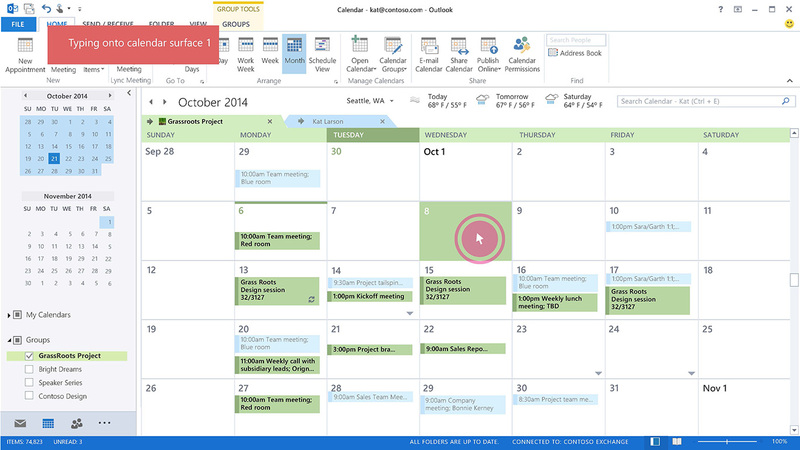 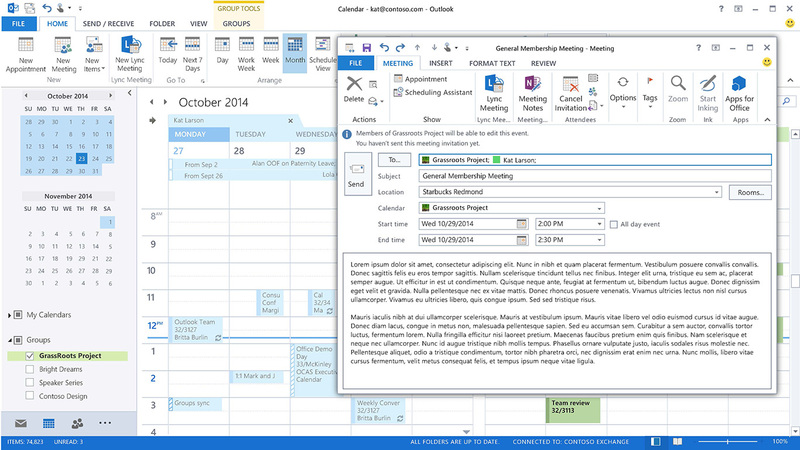 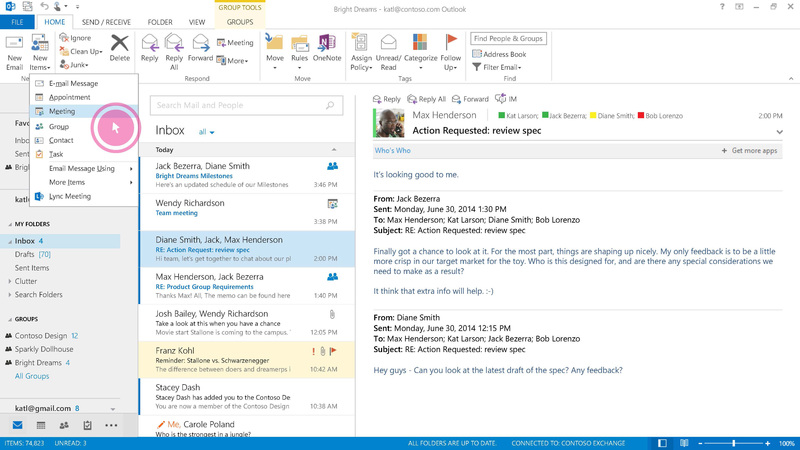 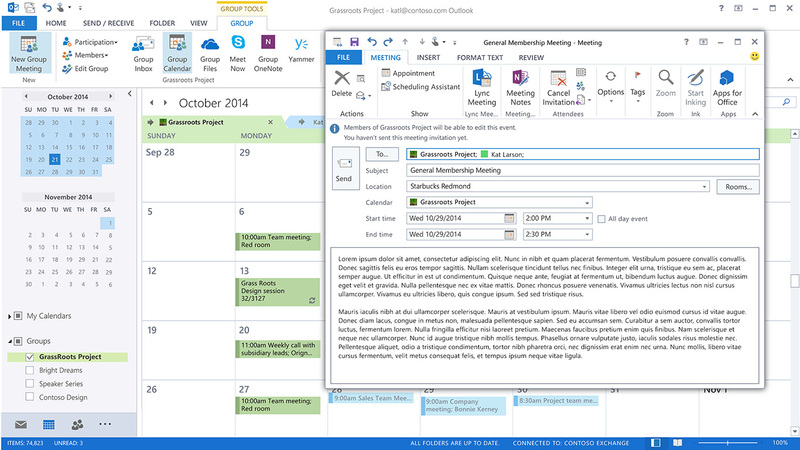 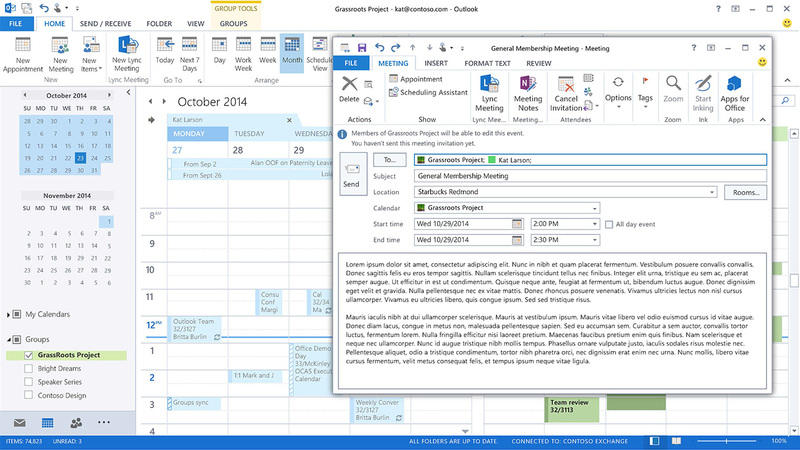 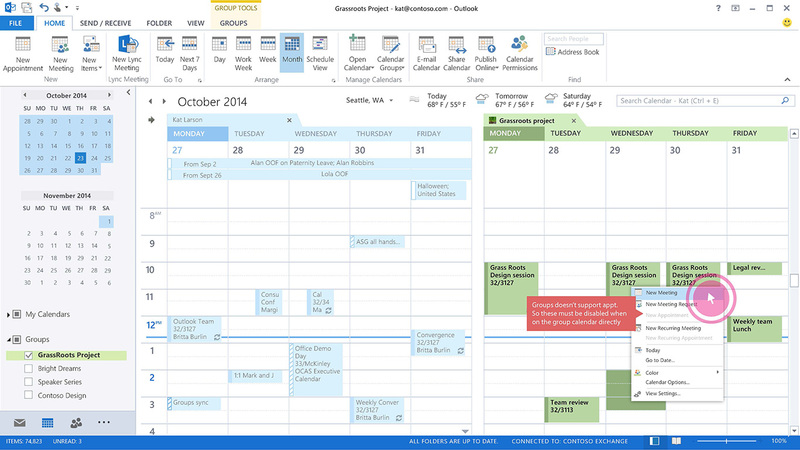 Outlook.com had already started integrating the new “GROUPS” functionality to its email and calendar systems. 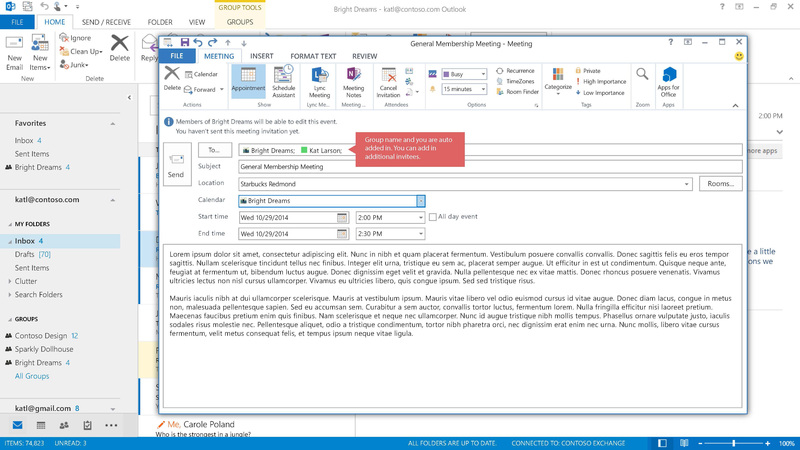 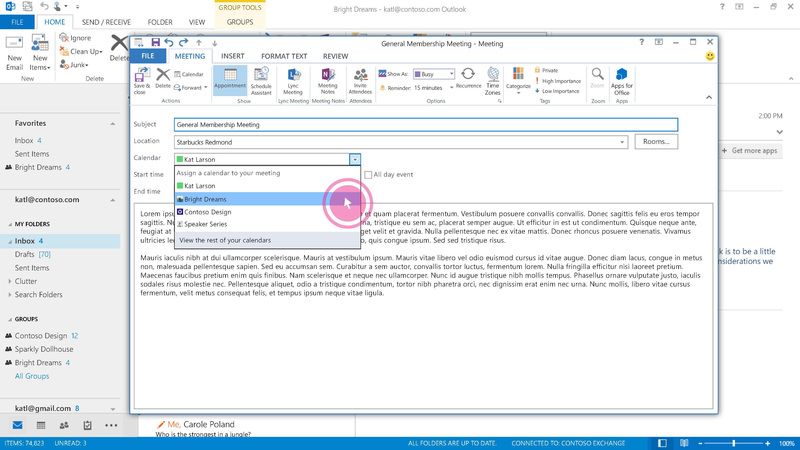 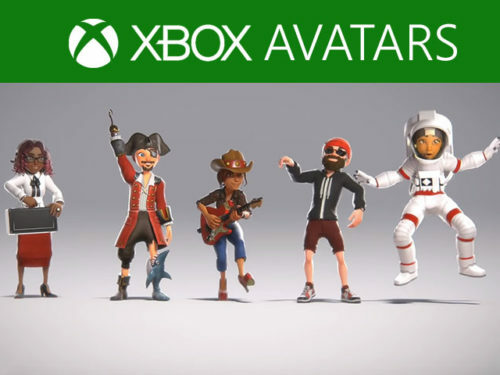 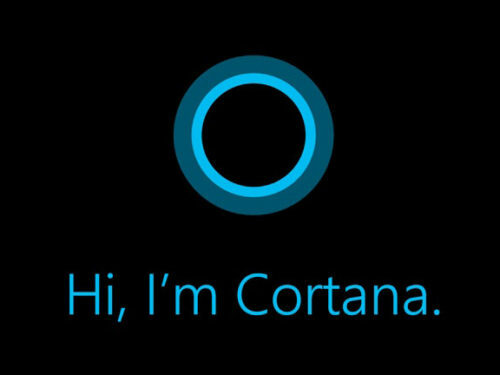 However, groups only existed on OWA and Outlook.com and needed to be added into the desktop Outlook client which became a bigger issue to developing constraints. 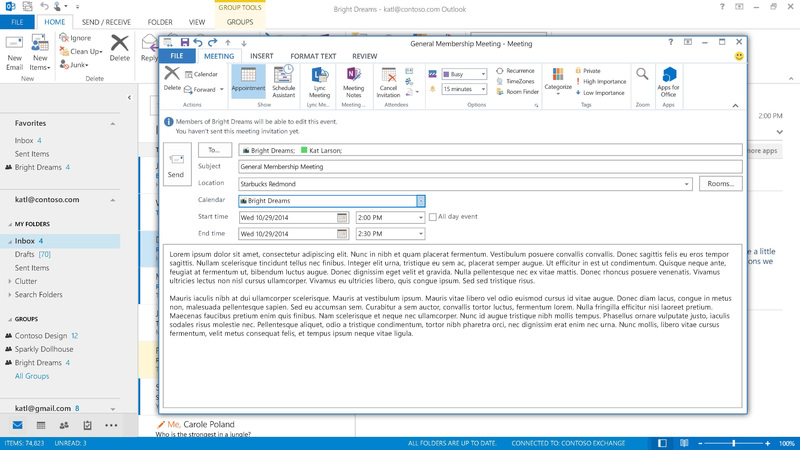 One of the biggest problems we were facing was how to make groups feel more special than just a distribution list. 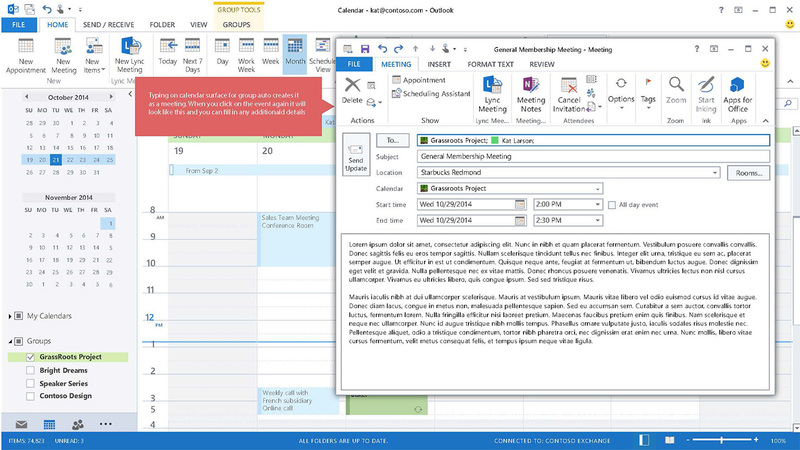 When members are subscribed to a group, they can just send out a meeting to the group in which all subscribed members will receive and a meeting will be placed on their calendars. 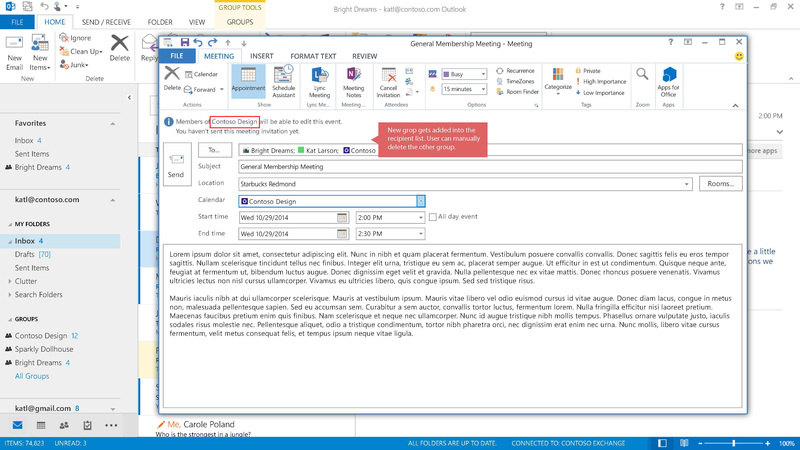 Since groups is a shared list, you cannot have a appointment on the group calendar since there will always be recipients. 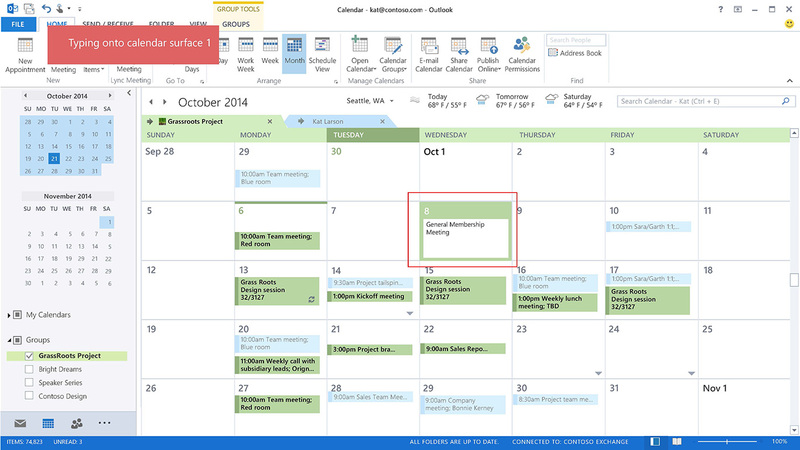 This is how we tried to solve the issue if someone tried to create a meeting via appointments option by forcing it to turn into a meeting the moment a group calendar is selected. 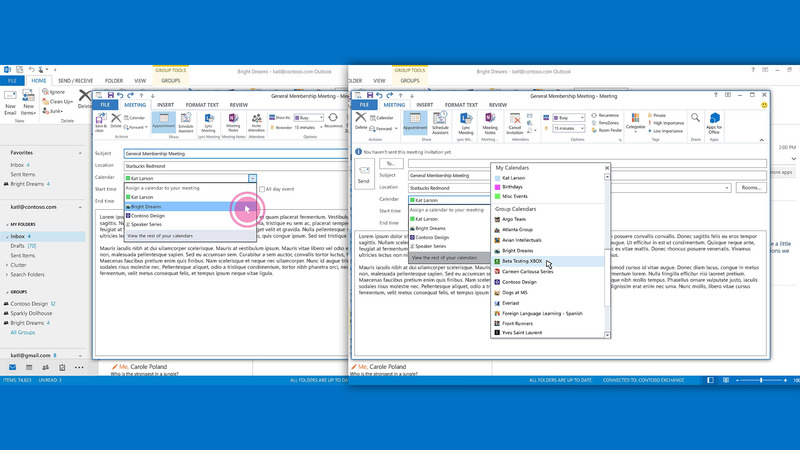 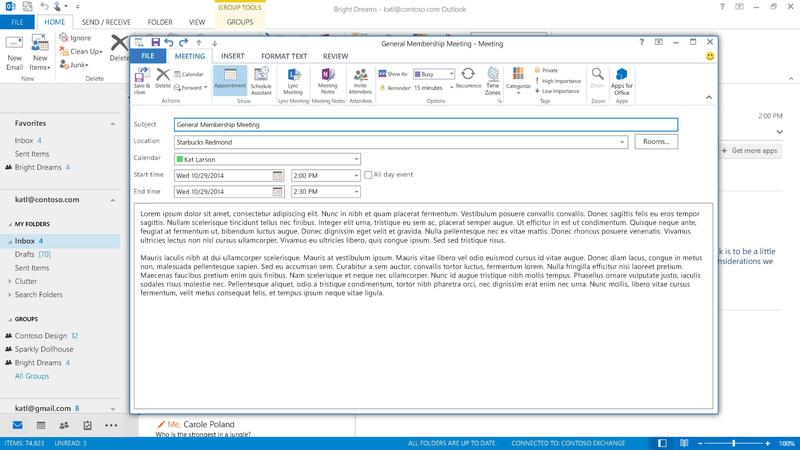 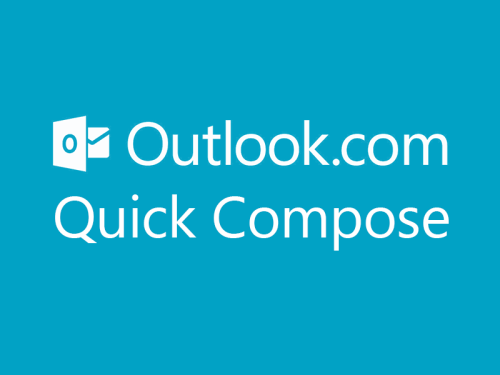 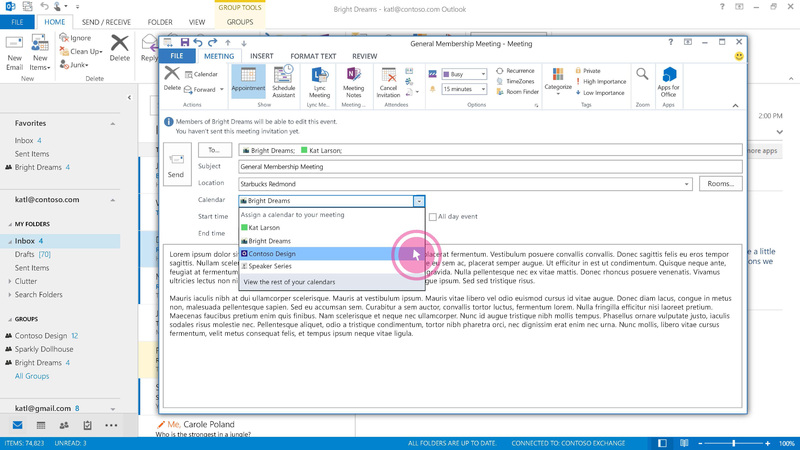 Came up with an idea of a quick compose platform for Outlook desktop, similar to OWA. 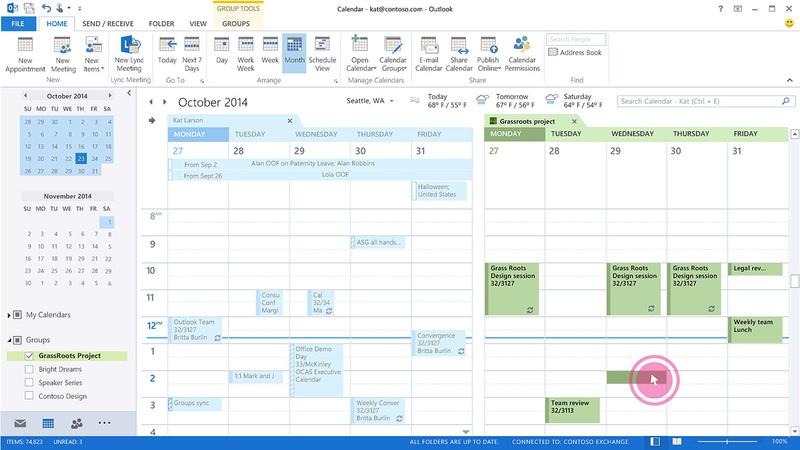 From here you can select the calendar as you create an event on the calendar surface and add in the basic details to get it going. 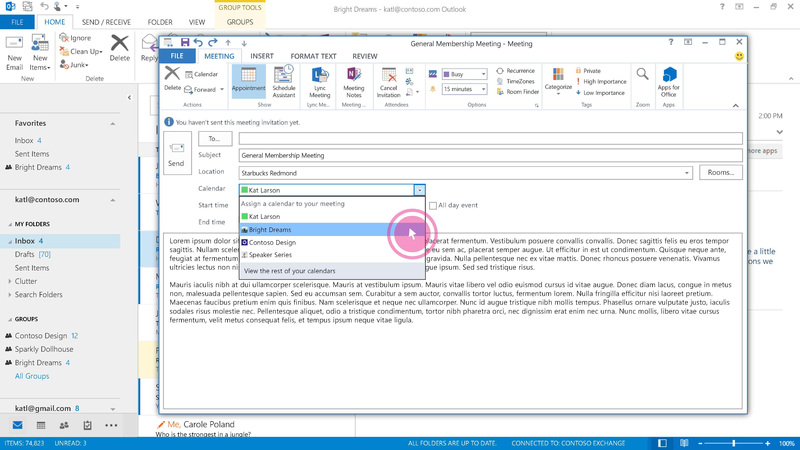 Once the meeting is created, you can add in additional details if you need too.